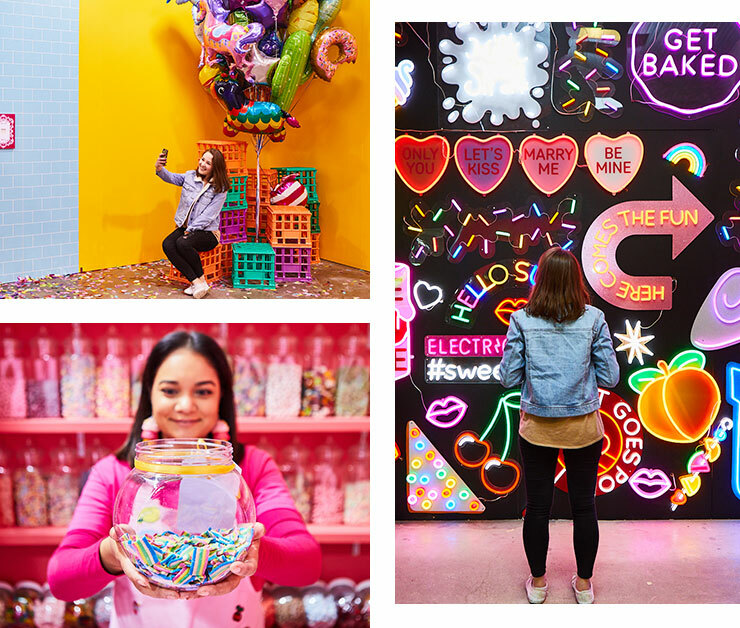 Australia, We Just Got A Giant Interactive Candy Museum! This place is kind of a giant homage to Australian sweets, ice-creams and desserts. Here's the deal: apart from getting free sugary snacks throughout the exhibit (that alone could have convinced us TBH), you and your group of friends can make your way through 12 'sensory rooms'. It’s like real life Candy Crush, only infinitely less frustrating. Make sure that you snap a pic in front of Australia’s first ever neon art wall before all your mates do. Selfies are encouraged, thankfully, cause this is the best your 'Gram feed is going to look all year. Sugar Republic will be in Melbourne, VIC until late August. You're gonna see this A LOT on your social feeds, guys, so if you were planning that long weekend now's basically the perfect time get on down and see what all the fuss is about. Get tix over here.